CAST: James McAvoy, Michael Fassbender, Jennifer Lawrence, Rose Byrne, Kevin Bacon, Nicholas Hoult, January Jones, Caleb Landry Jones, Lucas Till, Jason Flemyng, Edi Gathegi, Zoe Kravitz, Alex Gonzalez, Oliver Platt. 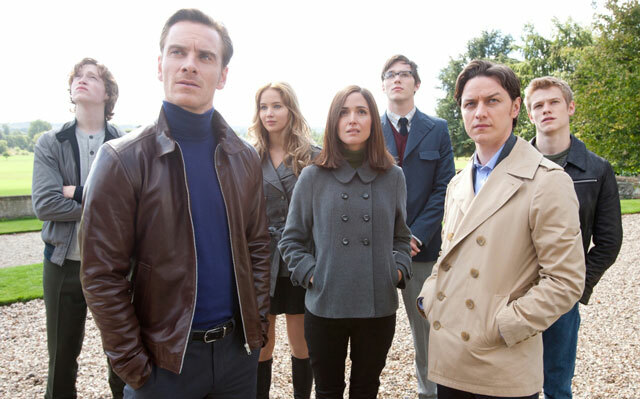 SYNOPSIS: Set against the backdrop of the Cold War, Charles Xavier (McAvoy) brings together a new group of mutants including the troubled Erik Lehnsherr (Fassbender) to protect the world from its greatest threat. Initially the closest of friends, their differences soon become all too evident, opening up a rift that threatens the peace of Xavier’s X-Men and the human race.